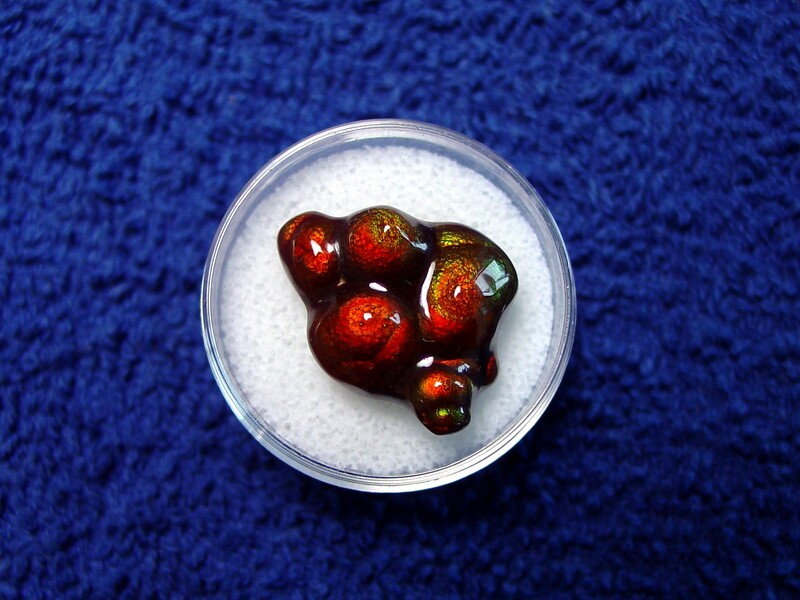 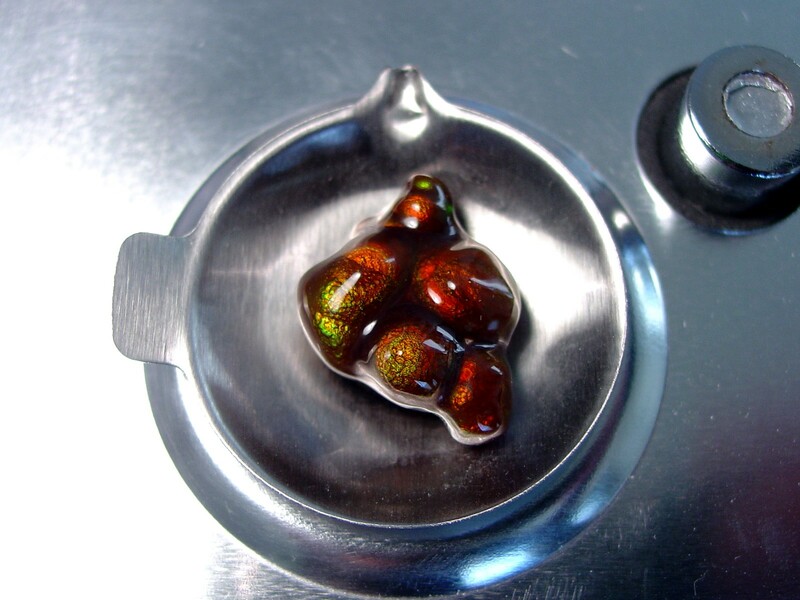 , a freeform cabochon, measures 20x14x6mm and weighs 14.7 carats. 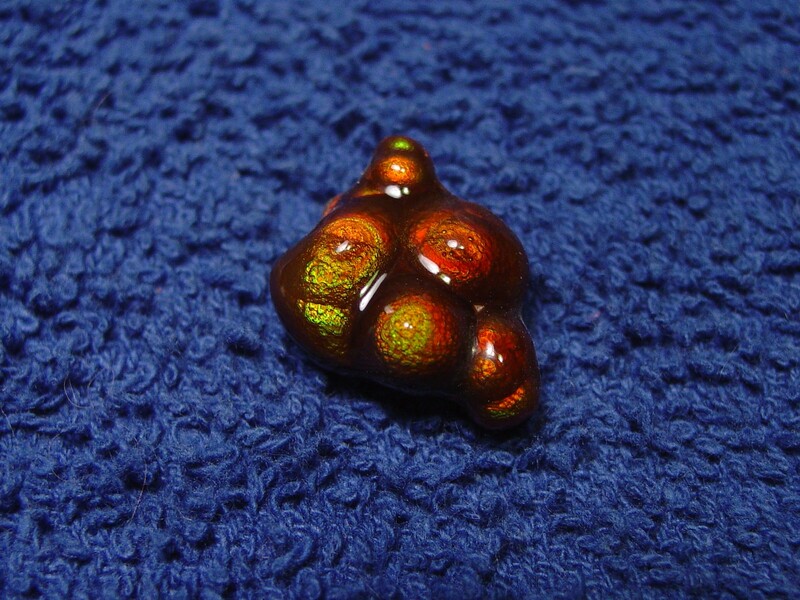 It has a wonderful array of colors that reflects well in most lighting conditions. 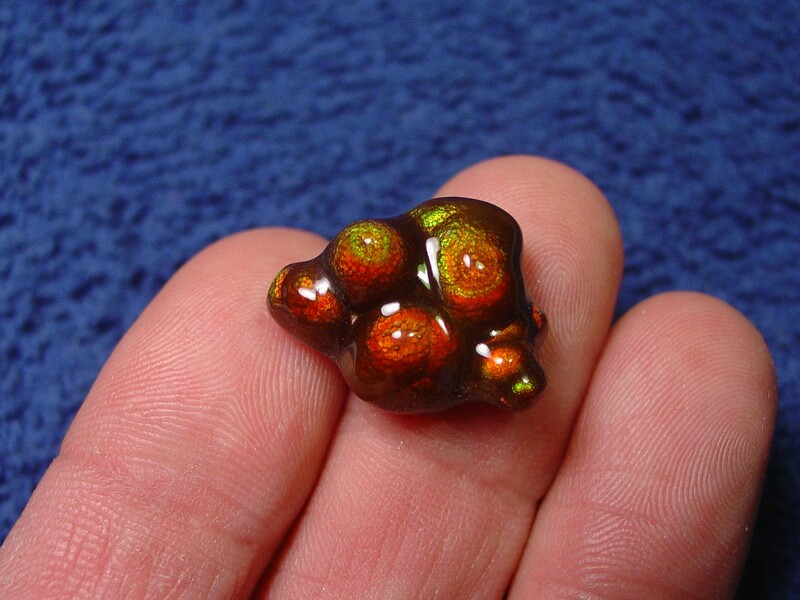 This high quality gem is flat bottomed and could be used for a unique jewelry project or it would make a great addition to any gemstone or mineral collection. 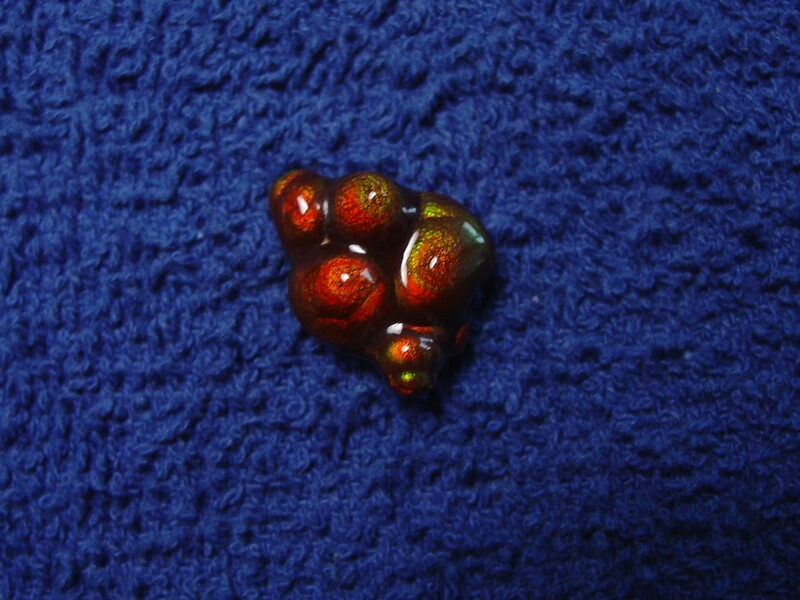 Photographs taken indoors under lights while the gemstone was dry. 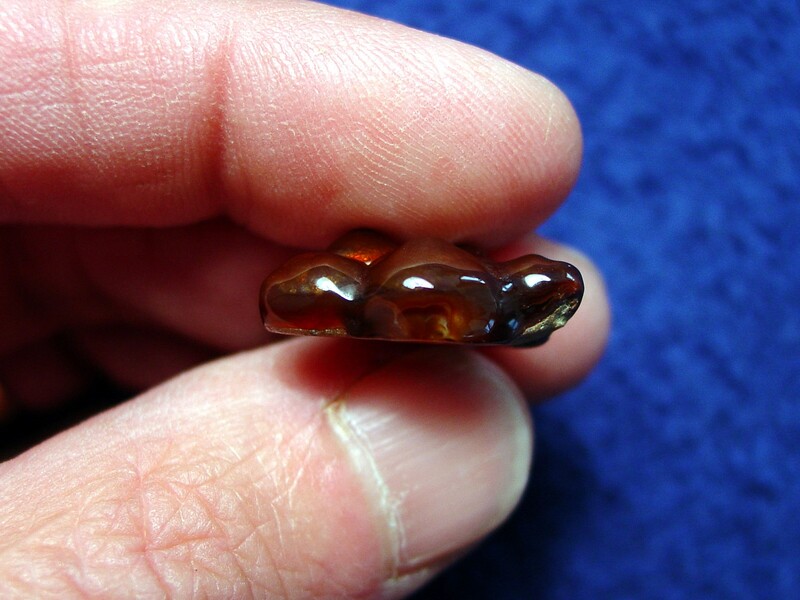 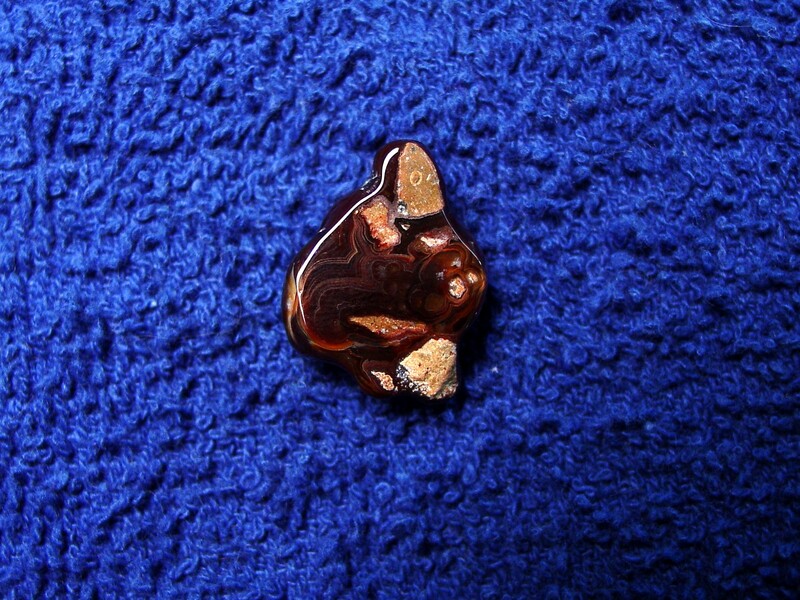 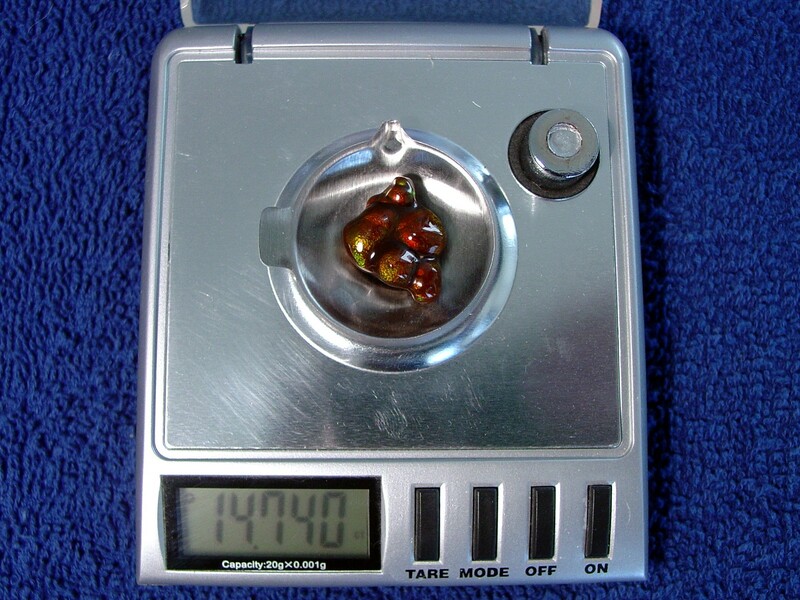 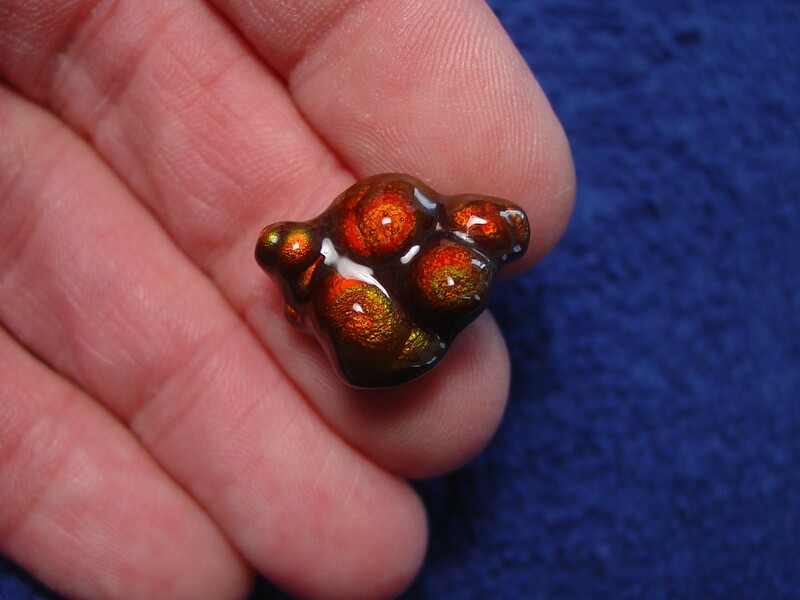 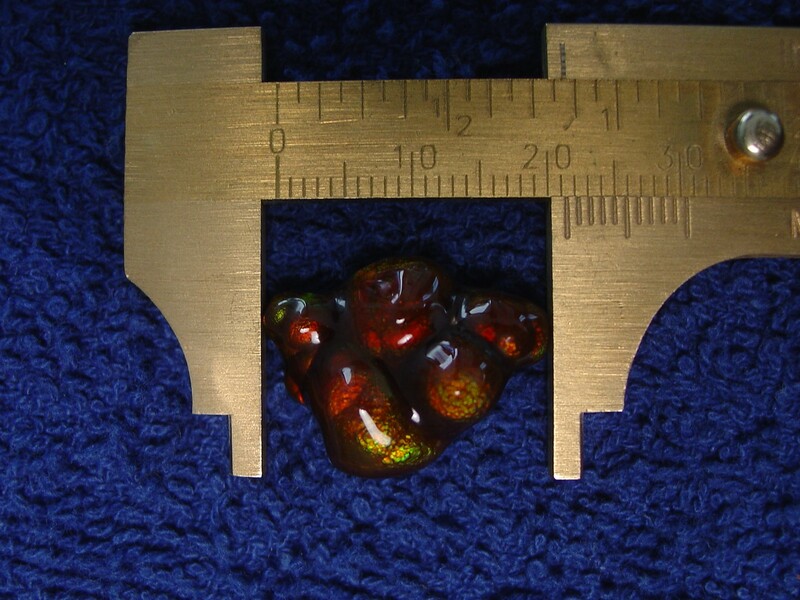 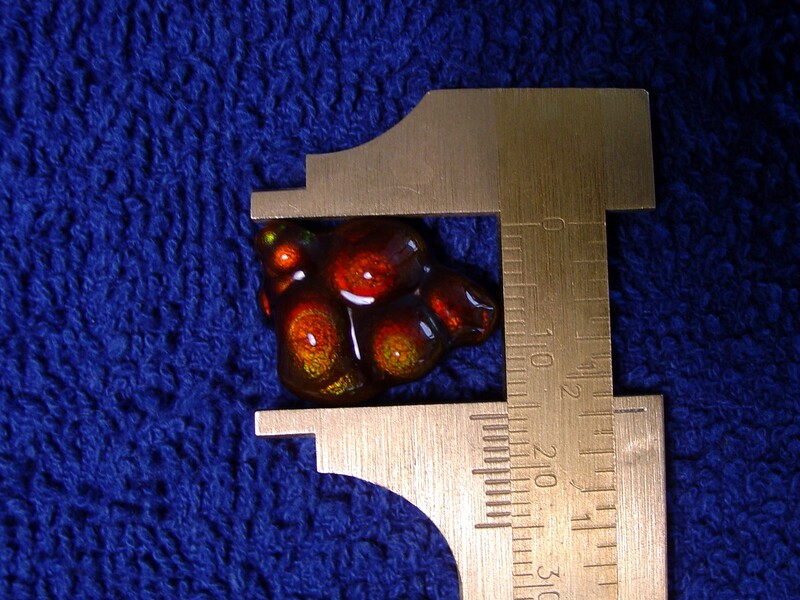 This fire agate gemstone was mined from Slaughter Mountain, Arizona. 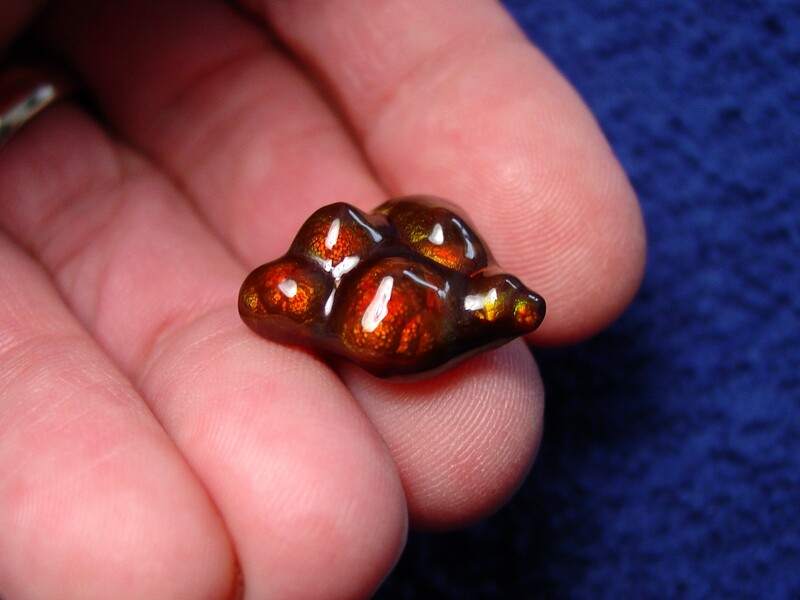 Slaughter Mountain is known for some of the best fire agates in the world, with intense color variations from bright reds and oranges to intense greens, purples and blues.